If you’re visiting the Gold Coast in Australia, then there’s a good chance you’re into surfing or at least would like to give it a try. If you’re in the latter category, then you probably know that you won’t be ready for places like the Snapper as soon as you get there – you will need a little practice first. Take a look at car hire Surfers Paradise, book a ride, and take a trip along the Gold Coast to find the perfect place for a beginner to surf. To give you a few ideas, we have the top five right here and waiting. Currumbin Alley. This is the safest and easiest location to surf on the entirety of the Gold Coast, making it ideal for those who are only just learning how to ride waves. 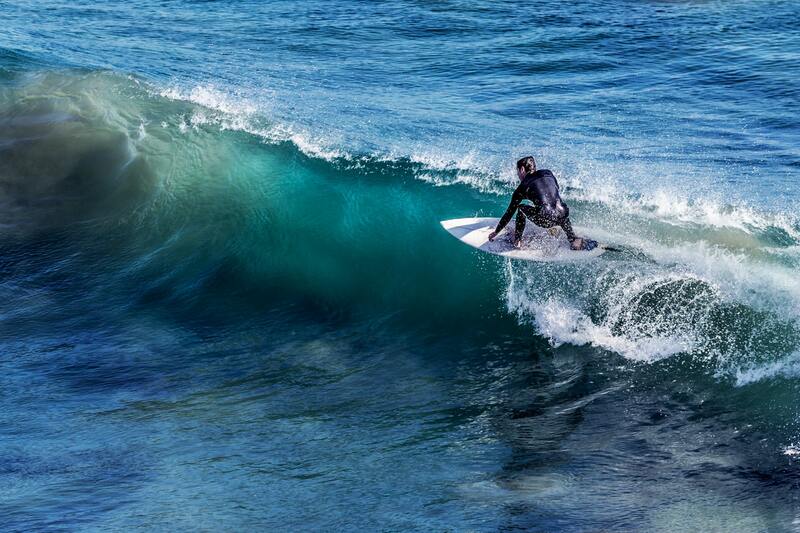 There are also some great licensed surf schools in this area, ensuring that you are able to find a great teacher to really help you tackle the waves and ride like a pro. You can choose between private and group lessons so that you’re most comfortable and relaxed while learning. Greenmount. You will find this peaceful location between Snapper and Kirra, and it’s well-known as one of the best locations to learn how to surf. The rides are mellow, gentle, and long, so you can practice popping up without fear. The way the waves curl around the headland and break on a sandbank means that you can get used to riding the green face of the wave. Some days there aren’t any waves at all, but the clear water is perfect for some relaxing on the beach and appreciation of its beauty. Tugun. Weirdly, this spot is frequently overlooked by surfers at every level, but it’s actually a perfect spot for those who are looking for a quiet place to learn. It provides a place for no embarrassment when you fail epically, and also some smaller, cleaner waves that let you improve your board and paddling skills. The fact that it’s so quiet also means you don’t need to panic about running anyone over. Make sure you get here early and put some practice in before the winds start to change. The Spit. This is on the northern end of the Gold Coast and is one of the most ideal places for newbies to learn how to surf. This is because the jetty and the rock wall collect an abundance of sand that creates the perfect waves for learning to surf because they run all the way to the shore. As it’s exposed to swell from every direction, even on small days, you can always expect excellent waves. There is also a great surf school there that can help you to get a real Aussie feel for the water. Rainbow Bay. This is considered the Snapper’s little sister, and it’s both a gorgeous place to visit as well as an ideal place to learn how to surf. The waves here are actually the remains of the fast and hollow lines that go through the Snapper. In fact, you can even find top surfer Nancy Emerson here, who started a surf school in the 90s so that she could teach newbies on the best coast the country has to offer. Whatever you need, she makes the best teacher on this beach and one you will want lessons from. To Conclude. Hopefully, our list will have you well on your way to experiencing the Gold Coast the way you want! Rent a car on Surfers Paradise to help you out and your visit to most of these locations will be made that much easier. Take your time and travel between beaches, build up your courage, and you will be surfing like a pro in no time. Enjoy your time on the water and have a blast!